Location. 41° 53.98′ N, 80° 47.947′ W. Marker is in Ashtabula, Ohio, in Ashtabula County. Marker is on Bridge Street (Ohio Route 531) east of Hulbert Avenue, on the right when traveling east. Touch for map. Marker is at or near this postal address: 1032 Bridge Street, Ashtabula OH 44004, United States of America. Touch for directions. Other nearby markers. At least 8 other markers are within walking distance of this marker. 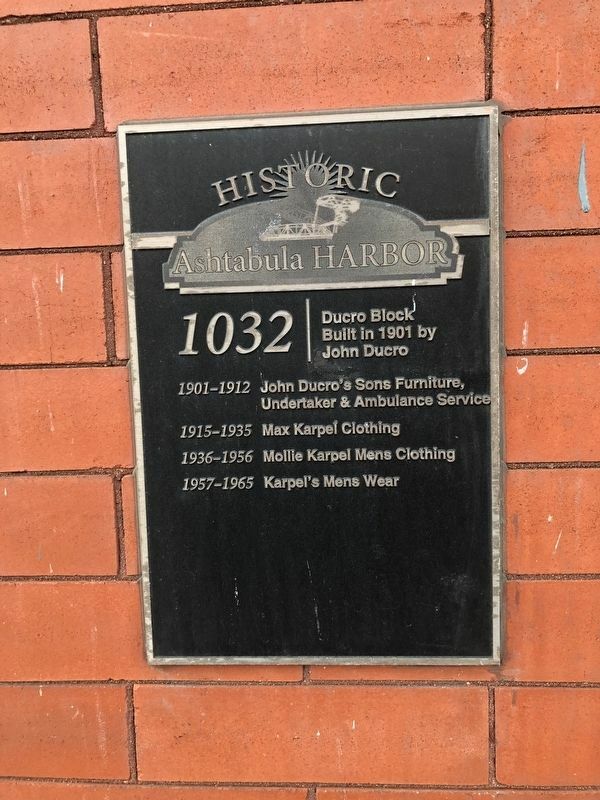 1034 (here, next to this marker); 1036 (a few steps from this marker); 1028 (a few steps from this marker); 1038 (a few steps from this marker); 1024 (a few steps from this marker); 1025 (a few steps from this marker); 1022 (a few steps from this marker); 1023 (a few steps from this marker). Touch for a list and map of all markers in Ashtabula. More. Search the internet for 1032. Credits. This page was last revised on April 17, 2019. This page originally submitted on April 17, 2019, by Devry Becker Jones of Washington, District of Columbia. This page has been viewed 29 times since then. Photos: 1, 2. submitted on April 17, 2019, by Devry Becker Jones of Washington, District of Columbia.